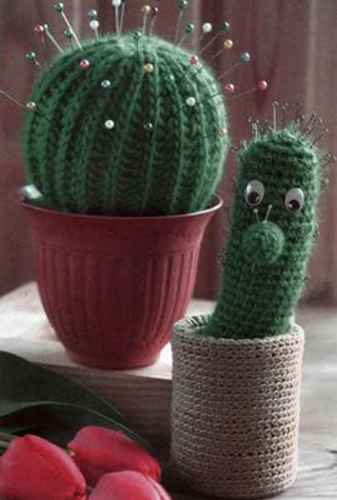 Home decorations made of knitted fabric or felt are stylish, unique and interesting ideas for spring decorating. 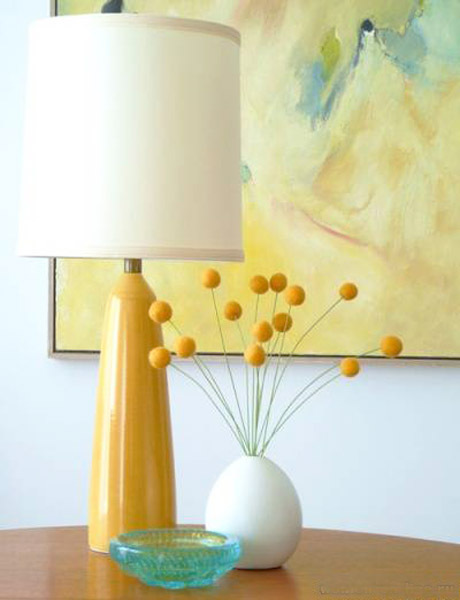 Handmade decorative accessories is a nice way to add personality to modern interior decorating in inexpensive, creative and elegant style and bring a splash of spring color into room decor. Home decorations made of knitted fabrics and felt, crochet designs, lace and embroidery projects create charming and very decorative home accessories that bring warmth of skilled hands and softness of handicrafts into modern interior decorating. Knitted fabric and felt, crochet lace and embroidery turn functional home accessories, furniture and lighting designs into artistic masterpieces that create warm and welcoming home interiors. 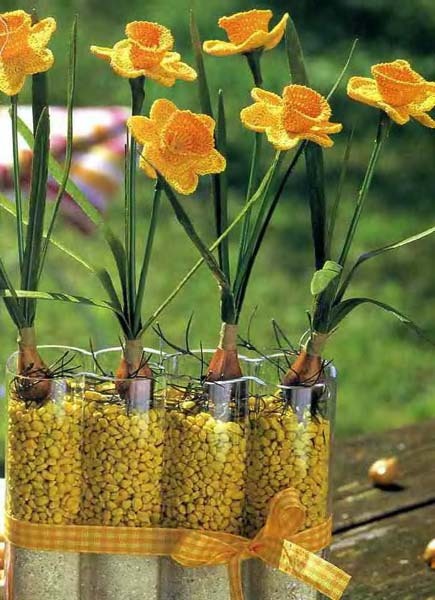 Decorative pillows and vases, kitchen accessories and bed trows with birds images and floral designs are excellent spring home decorating ideas. Knitted, crocheted or made of felt vases and kitchen accessories, Christmas tree decorations and table centerpieces look gorgeous, adding a splash of your favorite color and seducing texture to your modern home decor. 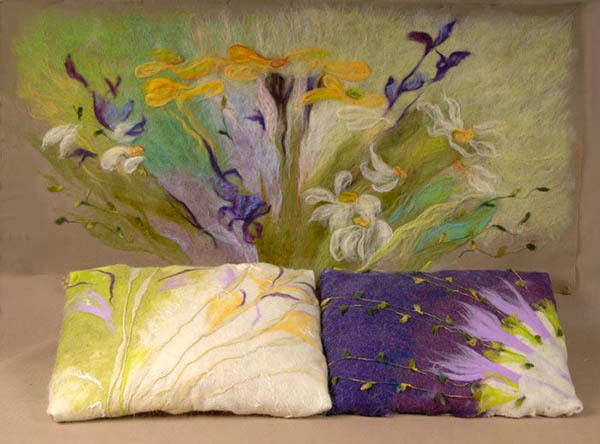 Handmade decorative pillows made of wool felt or eco felt, adorned with embroidery or felt ornaments make beautiful home decorations, unique home accents for any room and elegant Mother’s Day presents. Knitted fabric and felt feel soft and warm, adding feminine touch to simple and cool contemporary interior decorating ideas. Handmade home decorations, colorful vases and kitchen accessories, storage baskets and decorative pillows make country home interior decorating look bright and festive. 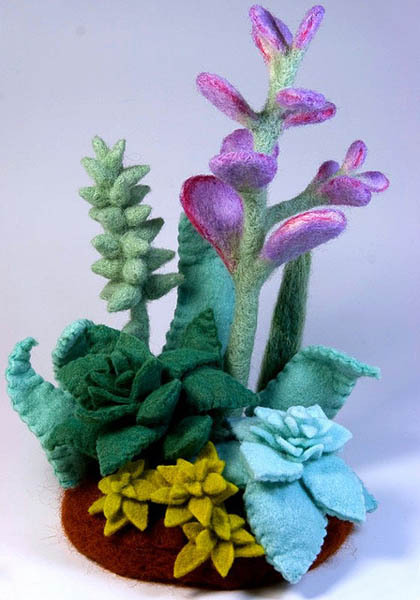 Small home decorations, made of wool felt or eco felt fabric, knitted or crocheted crafts are excellent Mother’s Day presents and timeless decorative accessories that celebrates old traditions and creativity. Knitted, crocheted or made of felt fabric hot pot holders and decorative vases, colorful Christmas tree ornaments and heart shaped book marks, floral designed for your curtains and table centerpieces are perfect craft ideas for making impressive and inexpensive gifts for Mother’s Day and birthdays, or stylish and cheap home decorations for your rooms.